Canadian paediatrician Dr Maguire said childhood obesity had tripled in the past 30 years, while consumption of whole milk has halved over the same period. Full-fat milk has greater health benefits for children up to the age of six, making them ‘leaner’ and more likely to have higher levels of vitamin D.
Children who drank whole milk with a fat content of 3.25 per cent had a Body Mass Index (BMI) score of 0.72 units lower than those who drank one or two per cent semi-skimmed milk, a study in the American Journal of Clinical Nutrition found. This could be the difference between having a healthy weight or being overweight. Lead author Dr Jonathon Maguire, a paediatrician at St. Michael’s Hospital in Toronto, said drinking full-fat milk reduces the desire to snack on high-fat and sugary foods because it leaves children feeling fuller. He said: “Children who drink lower-fat milk do not have less body fat, and they also do not benefit from the higher vitamin D levels in whole milk. Dr Maguire questioned US and Canadian guidelines that children over two should have two glasses of low-fat milk to reduce the risk of childhood obesity. 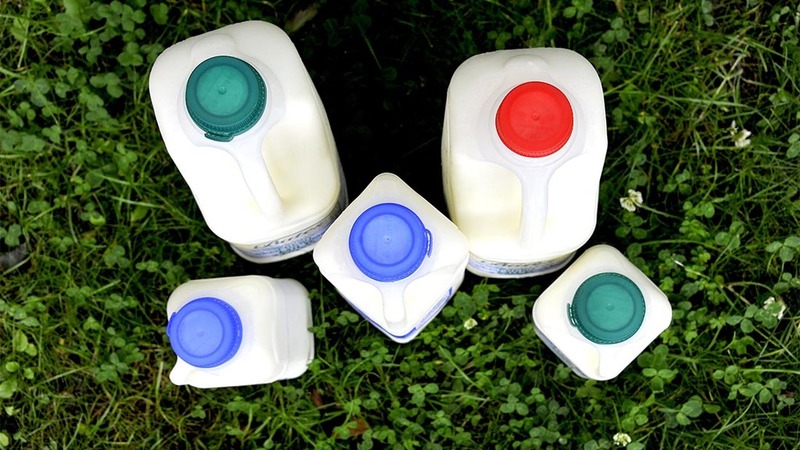 NHS advice also suggested people should ’go for lower-fat milks’ because they contain ’all the nutritional benefits of milk, but are lower in fat’. But childhood obesity has tripled in the past 30 years, while consumption of whole milk has halved over the same period. "If children do not feel full from drinking milk, they are more likely to eat other foods that are less healthy or higher in calories," Dr Maguire said. "Therefore children who drink lower-fat milk may actually consume more calories overall than those who drink whole milk." The study on 2,745 children aged between two and six found those who drank one cup of full-fat milk each day had comparable vitamin D levels to those who drank nearly three cups of one per cent milk. Dr Maguire suggested this could be because vitamin D is soluble in fat rather than water, meaning the higher fat content in milk translates to higher levels of vitamin D.
Bacon cancer claims follow years of food scares: What should we choose? Is farming being left behind at school?